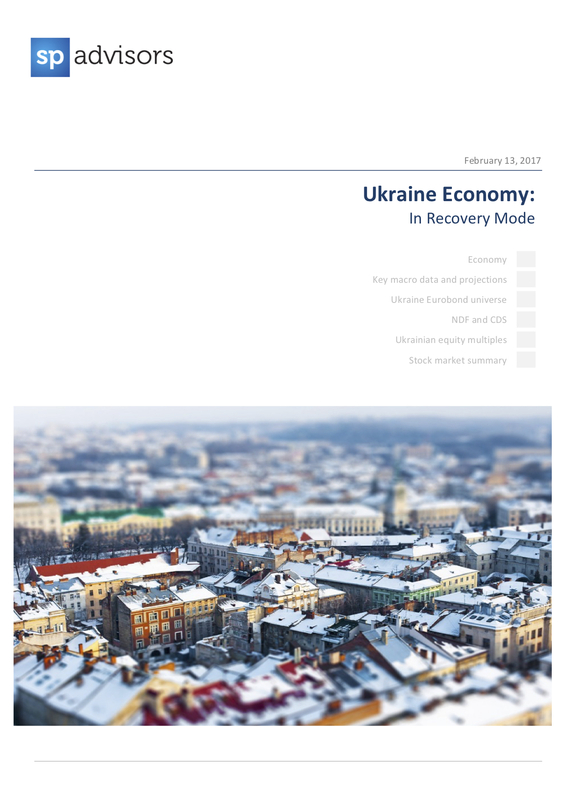 Ukraine entered 2017 on the front foot – the economy has been broadly stable over the past year and has adapted to an environment of low commodity prices. With the Privatbank nationalization complete and the banking sector clean-up done, the financial sector is poised for a shock-free year. Economic growth is due to accelerate against a low base, supported by a recovery of domestic demand. Inflation will remain in the low double-digits, fueled by the ongoing revision of utility tariffs. External accounts still pose a challenge for policy formation – robust imports will keep the C/A deficit at 3.5-4.0% of GDP, but sovereign borrowings should cover the gap. We see no risk of sharp exchange rate volatility through 2017 and we expect only a light 4-5% yoy hryvnia depreciation. Please contact SP Advisors (information@spadvisors.eu) for more information.